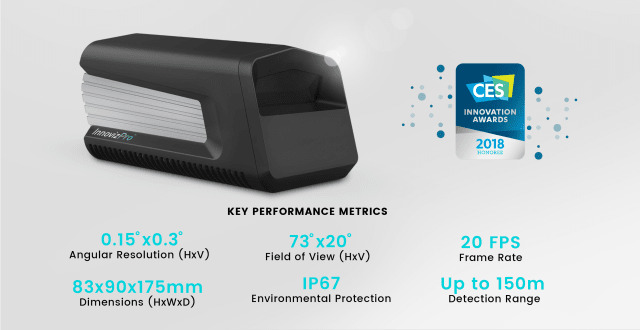 Innoviz Technologies, a provider of LiDAR sensing solutions, announced today the commercial launch of InnovizPro, a stand-alone, solid-state, MEMS-based scanning LiDAR sensor. Innovation in the LiDAR sensor space allows partners in the automotive industry to test and develop the next generation of autonomous driving programs. Moreover, the current availability of this sensor opens the door for LiDAR applications in additional markets, including industrial automation, security and surveillance, logistics and others. The product’s 20 fps frame rate, combined with its angular resolution and field of view, enables it to create a dense 3D point cloud with high accuracy. Meanwhile, its long detection range of up to 150 meters allows it to see with precise clarity at distance. Combined, these features enable InnovizPro to deliver accuracy even in the dark of night, cases of bright sunlight or quickly changing weather, and when the vehicle is traveling at highway speeds. Its design also allows fine-tuning of regions of interest and ensures resilience to sunlight. Founded in early 2016 and backed by US $82 million in funding, Innoviz is one of the first LiDAR providers to deliver a complete product to market. Innoviz has signed strategic partnerships to manufacture as well as integrate its LiDAR into the autonomous driving systems of market leaders and Tier-1 suppliers including Aptiv (Delphi Automotive) and Magna International. 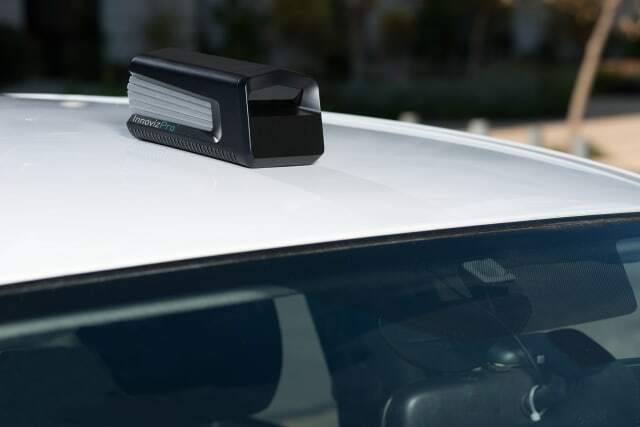 Next, the company plans to improve upon its industry-leading scanning performance with the introduction of a built-in, automotive grade LiDAR for levels 3 - 5 autonomous driving. This next system hopes to achieve higher standards of performance, reliability, size and affordability. Samples of the product will be available in 2019. To see the products in action, visit the Innoviz booth at the 2018 CES conference. Innoviz’s LiDAR demo is also featured in the partner booths of Valens, Samsung and Osram.